Entertain your guests with these Roll-a-Coasters. 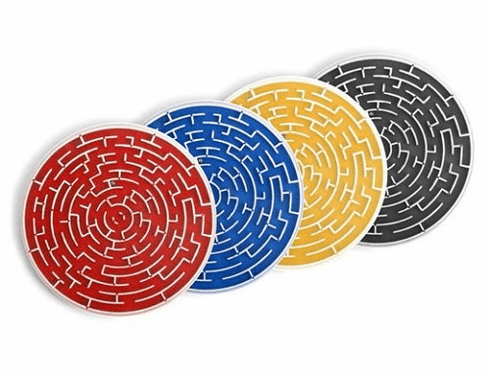 These a-maze-ing coasters are sure to amuse and confuse. Each coaster has it's own fun maze complete with steel ball. Tilt coaster to roll the ball through the maze. Set of 4 coasters in blue, black, red and yellow. Measure 3-1/2-inches diameter.